A reflection always reproduces objects as a complete mirror image, rather than just its individual parts or individual parts in a completely different orientation. It’s all or nothing, the mirror can’t reflect just a little. This illustrates a fundamental symmetry principle in nature. For decades, physics assumed that the laws of nature in our world and in the mirror world would be identical, that parity would be preserved. Then in 1956, in the realm of elementary particles, or more precisely in the realm of the weak interaction, researchers discovered a violation of this principle. Parity violation has been a subject of scientific research ever since. Physicists at Johannes Gutenberg University Mainz (JGU) have recently succeeded in observing parity violation in ytterbium atoms with different numbers of neutrons. The initial effect of the measurements is to confirm the predictions of the Standard Model of particle physics that atoms with different numbers of neutrons would demonstrate parity violation. The research was published in the renowned Nature Physics journal. Parity violation is only known to occur in the weak interaction, one of the four fundamental forces of nature. It was first discovered in beta decay in 1956, in atoms in 1979, and was subsequently studied in various elements. In 1995 at the University of California in Berkeley, Professor Dmitry Budker started performing precision measurements on the element ytterbium, a rare earth metal. It was this work he brought with him when he came to Mainz University in 2014. „Our research involves various isotopes of ytterbium. Isotopes are atoms with the same number of protons but different numbers of neutrons in the nucleus,“ explained Dr. Dionysis Antypas of the Helmholtz Institute Mainz (HIM). 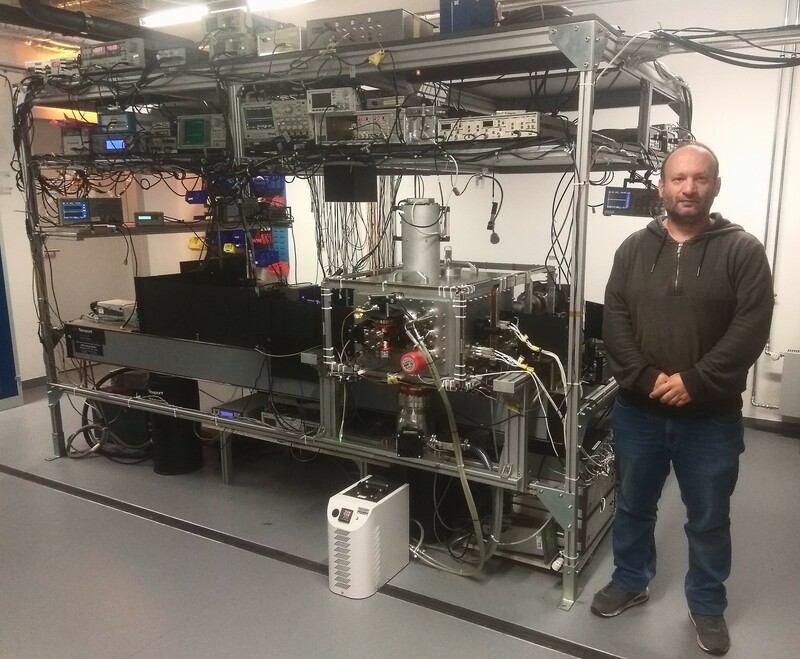 „We selected a chain of four of ytterbium’s seven isotopes and confirmed the predictions of the Standard Model: the more neutrons in the nucleus, the greater the parity violation effect,“ said Antypas, summarizing the results of four years of work in the project. Comparing the effect in different isotopes was first proposed by Prof. Victor Flambaum in 1986. Flambaum, an Australian physicist from the University of New South Wales, has been a fellow of Mainz University’s Gutenberg Research College (GRC) for two years and performs collaborative research with the JGU scientists. The physicists conducted the research using an apparatus at the Helmholtz Institute Mainz: in the presence of an electric and a magnetic field, ytterbium atoms are excited by laser light and the amplitude of the parity violation is measured. „The latest findings mark a significant milestone in research into atomic parity violation,“ said Budker, summarizing the data. „They are also a very significant milestone on the road to future research objectives.“ The scientists‘ measurements also offer information on an additional Z boson. Z bosons mediate the weak interaction. Scientists in the field speculate the existence of a further Z boson, referred to as the „Z prime“ or „Z“ with a much smaller mass than that of the established Z boson. In the future, Budker and Antypas plan to study ytterbium’s nucleus to determine the distribution of its neutrons and study the weak interaction between its nucleons. These projects are in line with the MESA program and projects of the PRISMA+ Cluster of Excellence at Johannes Gutenberg University Mainz.